A few different textures going on here… as soon as I walked by this “frame in my mind” I thought, how cool does this look?! 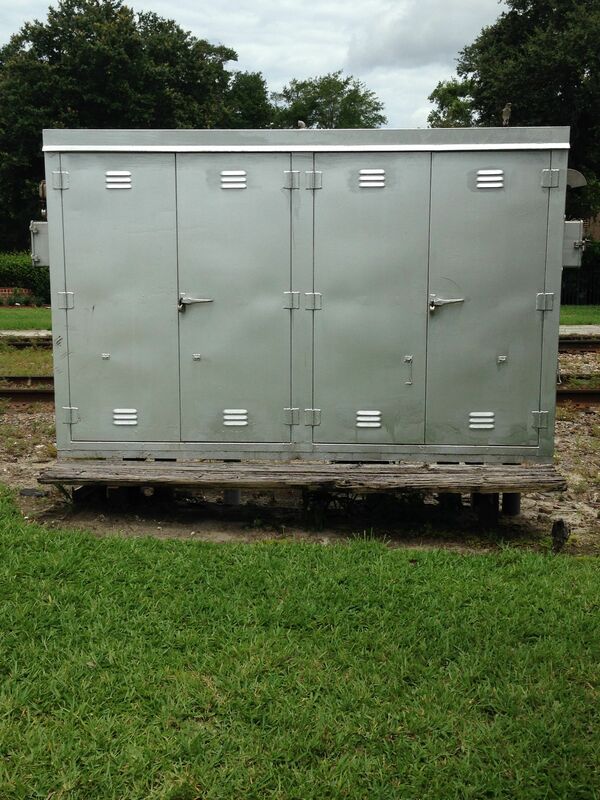 This is a power box located next to a light rail depot in Winter Park Florida (think Mayberry RFD) – great town, very photogenic. I thought the stand the box is on looked like driftwood, and the box itself has had probably a dozen coats of spray paint. The grass looked new, but the trees (AFAIK) are as old as the city.